Living and working in Germany requires at least a basic knowledge of the German language. Communication is all around...in every day situations like meeting people, shopping or at work. 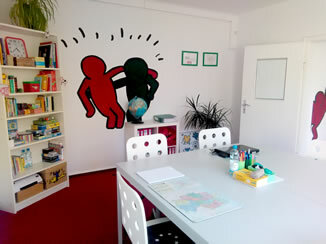 In our courses you will learn to read, write and speak German and get to know the culture, habits and idioms. The courses are usually held in one-to-one lessons or small groups and are offered for everyone from beginners to advanced learners. Register now! Only few places available! Starting at A1 you will learn German from the very beginning. Introducing yourself, getting to know other people and other important every day situations will be learned and practiced. Soon you will be able to communicate! You already know the basic elements of the German language and you are able to form sentences for small conversations. The A2 course will teach you to speak, write and understand even more complex sentences and conversations. 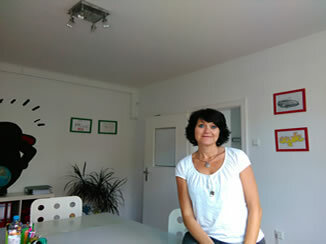 The aim of this course is to improve your German skills in order to communicate without difficulties. You will learn most common idioms, to give your opinion, to understand informations and to make complaints or expressing requests. This course will teach you to understand even complex speeches or texts and to speak German fluently. Based on interesting stories or films you will easily improve your German. 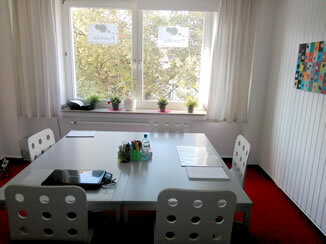 The prices range between 10,- and 18.50 € per lesson, depending on the frequency and the number of participants. In a free of charge test training you can gain a first impression. Please feel free to contact me to talk about your individual requirements. We will find the right course for you!